NEW YORK, Sept. 10, 2018 /PRNewswire/ — Dr. Gaetane Michaud, Chief of Interventional Pulmonology at NYU Langone Health and its Perlmutter Cancer Center, emphasize the importance of an overlooked health issue today on SurvivorNet, a newly launched website for cancer patients and survivors, stating that approximately 300,000 people exposed to toxic air after 9/11 are at risk of developing cancer and are not getting the medical screening and attention they need. The Center for Disease Control and Prevention has long maintained that around 400,000 people in lower Manhattan were exposed to a dangerous mix of substances such as asbestos, lead, and benzene on the day of the attacks and in the weeks and months afterward. 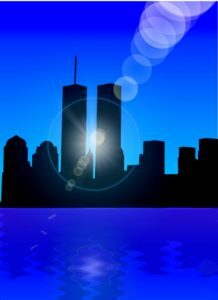 The World Trade Center Health Program was set up by the federal government to help people with health problems related to the attacks obtain and pay for the care they require. To date, just 80,000 people have registered with the program ensuring appropriate screenings and/or care. Dr. Michaud and her team at NYU Langone have seen an increasing number of patients with 9/11 related illnesses and believe that many more people are not getting the help they need and may not even know about the health risks they face. In addition, Dr. Michaud is concerned that physicians caring for these people are also unaware of the concern and/or resources available to their patients. There is no exact consensus on the geographical radius around the World Trade Center site which constitutes a risk to human health. That said, the program radius considered for enrollment in the WTC Health Program is approximately 1.5 miles from Ground Zero. Common 9/11-linked illnesses include chronic cough, asthma, sinus congestion, certain cancers, stress-related disorders, and many other diseases, according to the WTC Health Program. A lot of people that were near Ground Zero at the time, and even lived down there then moved away, have no idea what resources are available or that they should even be screened or are at risk,” Dr. Michaud states. If you believe you may be at risk from exposure after the September 11 attacks, you can go to CDC.gov/WTC to enroll in the program. Dr. Michaud strongly urges people to tell their physicians if they believe they may be at risk or were in lower Manhattan at the time.